In Los Angeles, the teams trained travel agents with Apple Vacations and gave seminar presentations with MLT. While in New York, they visited Delta Vacations to promote the direct flights to the destinations; they were also present at the New York Travel Show, where they had appointments with agents and direct consumer. The joint Vallarta-Nayarit campaign—spearheaded by the Mexico Tourism Board (MTB) and the Riviera Nayarit and Puerto Vallarta convention and visitors bureaus—has been hard at work in Los Angeles and New York. In the span of one week the CVB teams carried out visits, seminars and face-to-face appointments, plus they participated in the New York Times Travel Show in order to update wholesalers, agencies and direct consumers on both destinations. Their efforts began on the morning of February 25th in Los Angeles with a visit to eight of wholesaler Apple Vacations’ most productive accounts in order to share the latest news from the destinations. That same evening the work was duplicated with wholesaler MLT during a dinner presentation with 30 travel agents. The next day there was a follow-up visit to two of their best agencies to reinforce the information. 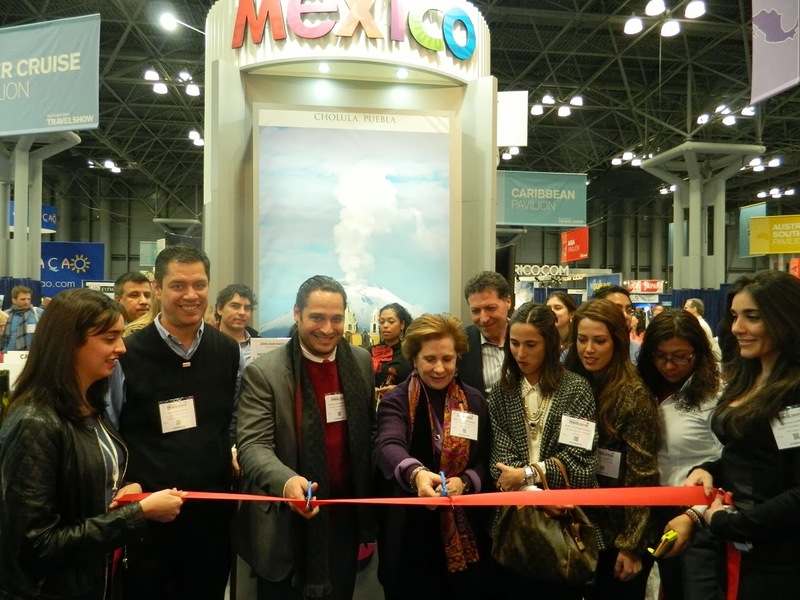 The New York Times Travel Show took place from February 28 – March 2, during which—by invitation of the MTB—the Riviera Nayarit and Puerto Vallarta showcased their destinations’ many attractions. The first day was dedicated exclusively to working with travel agents, with over 60 one-on-one appointments made with these specialists. The following two days were dedicated to promoting the destinations to the direct consumer. Over 500 exhibitors participated in the event, where they could negotiate with thousands of travel agents thanks to the New York publication’s influence within the international arena. Finally on March 3-4 the teams visited eight of the most important accounts from wholesaler Delta Vacations. The focus was on promoting the flight that they have to the destination from their New York gateway. Full flights are in large part a direct result of these joint promotional efforts brought about by both destinations, which in turn benefitted the residents of both Nayarit and Vallarta.